The Wolves win big in The Big Ticket's re-debut. 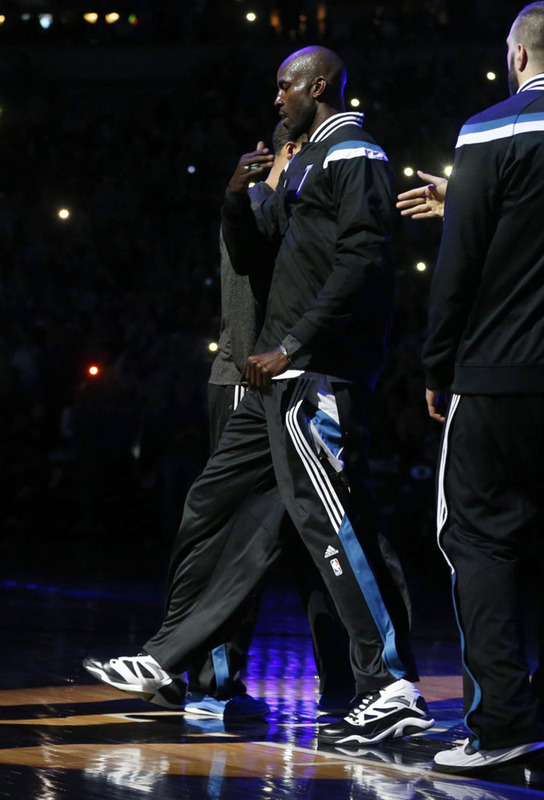 Following the shocking deadline swap between the Minnesota Timberwolves and Brooklyn Nets, Kevin Garnett re-debuted for his original team against the Washington Wizards last night. Emotions ran high, as the home team honored The Big Ticket's return by putting together one of their best performances of the season. 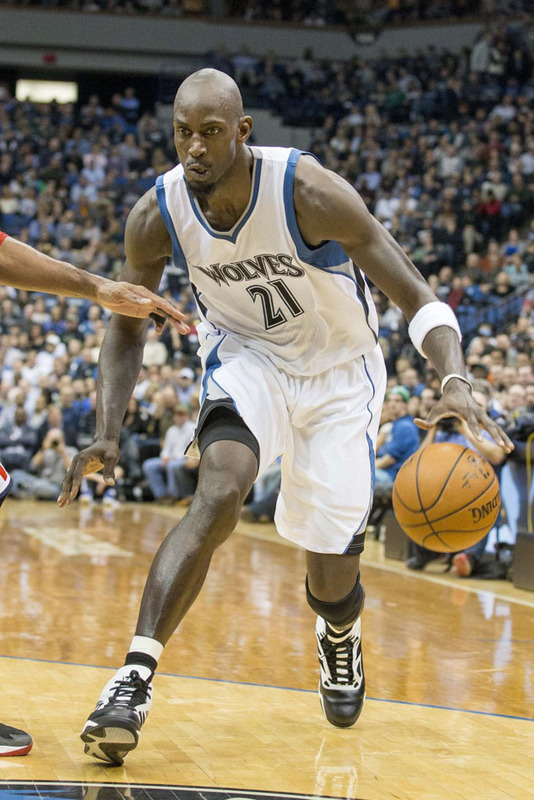 Using stifling defense, no doubt inspired by KG, the Wolves coasted to a 97-77 victory. Garnett had just 5 points and 8 rebounds in 19 minutes of action, but clearly gave his team the midseason lift they needed. While a lot of things seemed like they never changed, Garnett's footwear brand has since the last time he called Minnesota home. 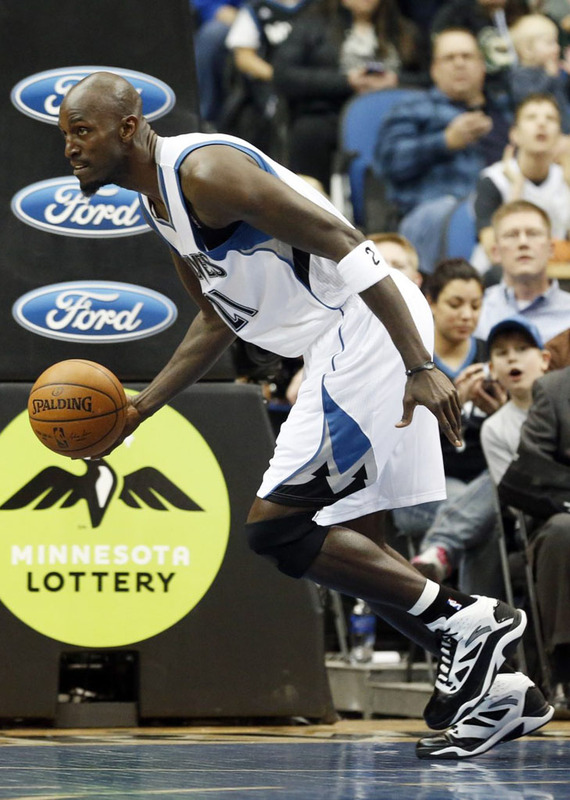 He played his first game back in the ANTA KG 5, the most recently signature release from the China-based brand.